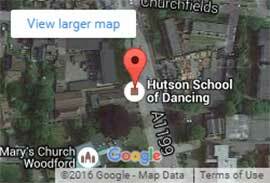 The John Hutson School Of Dancing has been running Ballroom & Latin American dance lessons at the Memorial Hall in South Woodford for about 50 years. Originally established by John Hutson prior to 1966 at St Phillip & St James Church, The John Hutson School Of Dancing came into its being in late 1966 having moved it into the Memorial Hall. The Memorial Hall itself has not changed that much since John started the school back in 1966, although with a recent restoration and the introduction of the new dance floor, there have been great improvements in this a wonderful local venue that we are extremely proud to call our “home”. Johns ethos from day one has been about the love of teaching Dance to those who want to learn, whilst creating an all inclusive social activity in the local community for anyone who wants to give dance a try. Having been established for 50 years this demonstrates the quality of the school and what it brings to the local community. Our classes are taught by John & his team, which includes students from over the years; they normally run at 3 different levels of knowledge or skill. The John Hutson School of Dancing offers dance lessons to both children & adults in Ballroom and Latin American Styles. Initially, new pupils are normally taught the Cha cha cha & Waltz as their first dances. These being the easiest to learn. Over time and with the build up of confidence and skill students will be introduced to dances such as Jive, Quickstep, Samba & Rumba, as well as a social rhythm dance, which is enjoyable & easy going. Lessons in such dances as the Foxtrot, Tango & Paso Doble are not usually taught until students have enough good general experience and skill to make such amazing dances easier to learn. At the John Hutson School of Dancing we believe that it pays to feel comfortable with the basic dances before tackling slightly more advanced figures. Pupils may take the opportunity to prepare for dance exams, if they wish, however this is always down to the students personal choice. We do have a number of students who enjoy taking part in competitions, and we will always help to facilitate this. Some of the competitions take place at the Memorial Hall whilst others may be in other locations such as Ipswich, Canvey Island or Margate. The competitions at the Canvey Island venue usually take place 4 or 5 times a year, and pupils are invited to dance in solo events as well as competitive couple events & John & others will partner the pupils where necessary. Some of the competitions are also at quite a high standard and this gives those entering them even more of a challenge if they choose to compete. John has sometimes organised much larger events that have included other dance schools with up to 500 people attending. We also offer a full range of private lessons for adults and children, and an area of the school that is growing in recent years is for couples to prepare for the first dance at their wedding. So whatever your needs or skill level and confidence we are here to build your confidence and teach you to dance. Some come along to our classes looking to meet someone to partner them, and to join in for the social experience. Many of the pupils come from Woodford & the surrounding areas such as Wanstead, Chingford & Loughton, and we do find a fair number of new students also come from other locations outside the immediate area. It is very noticeable that demand for lessons & classes increases each year when ‘Strictly Come Dancing’ in shown on the television, and it has had such tremendous positive influence for the dance school and dance itself. With the appeal of styles of dance such as Ballroom Dancing & Latin American Dance, we attract people of all ages, nationality, social backgrounds and skills. If you are looking to learn a new skill, get fit, or perhaps Strictly Come Dancing has inspired you to learn Ballroom and Latin American Dance, then look no further than the John Hutson School of Dancing, your local, long established and recognised School of Dance. Remember, your first group lesson can be 100% Free and on us! What have you to lose? Thanks Once again for visiting our website, and I hope to see you dancing very soon. Try Your First Group Lesson 100% for Free! Simply Click On the Button Below To Find Out How To Get Dancing! TRY A LESSON WITH US FOR FREE!